June marks the beginning of winter in New Zealand: the arrival of the snows, the start of the skiing season and swathes of glistening ice crystals adorn the landscape. It’s not just the chill in the air that takes your breath away at this time of year! What is New Zealand Like in June? Arrive in New Zealand in June and you’ll find the season of winter has draped itself across the land, and you might also find that you have much of that land to yourself, as the winter holiday doesn’t begin for New Zealanders until July. June can be a stunningly beautiful as well as a quiet time to see the country, which also means flights to New Zealand in June can be cheaper than at other times of the year. The first snows arrive as temperatures start to drop, and the New Zealand June climate is a cool one. Polar blasts from the Antarctic hit the coastlines and the temperature in New Zealand in late June can drop to around -5° at night. But New Zealand is a temperate country and conditions don’t get too bitter: daytime temperatures can still reach as high as 20° in some places and you can expect around 9 hours of daylight. Both the South and North Islands experience snowfall in their mountain ranges, but the South Island is cooler. It is also drier than the North Island (which can see some really wet weather this time of year), and the drier, colder weather on the South Island makes for some stunningly clear and crisp winter days! You can typically expect highs of around 15° and lows of 3° on the North Island and highs of 13° and lows of -2° on the South. In June, winter is underway and nowhere celebrates this fact quite like Queenstown. First established in 1975, the Queenstown Winter Festival is a weeklong event, topped and tailed by wondrous firework displays and full of activities and competitions in the meantime. You could catch a music or comedy gig on one of the free stages, take part in a game of dodge ball, watch a parade, cheer the dog derby as they hurtle past or even ride a suitcase down a ski slope. It’s the biggest celebration of winter in the Southern Hemisphere and there are cultural shows, parties and competitions a-plenty. 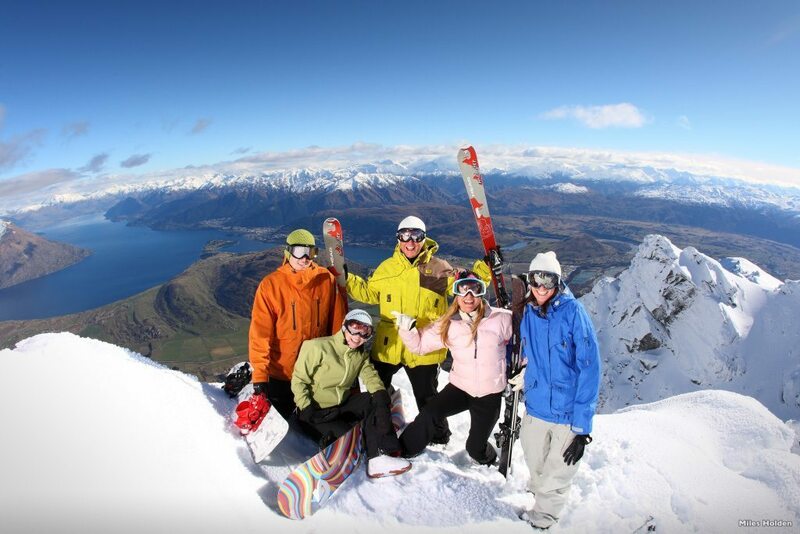 If you fancy being part of this exuberant and joyous welcome to winter, then make sure you book your accommodation in Queenstown in plenty of time as it gets pretty busy around the festival. You can buy tickets here. June is the month when the star constellation of Pleiades rises above the horizon and marks the beginning of the Maori New Year. The Maori word for this constellation is Matariki, and you’ll find Matariki festivals happening across the country, with perhaps the biggest taking place at Wellington’s Te Papa Museum. Matariki occurs at the end of the harvest period, with Maori storehouses full of lovely foods, so food is a big part of the Matariki festival, along with singing and dancing. As well as festivals, you’ll also find some interesting museum exhibitions, markets and astronomy events associated with the rise of Matariki, and as ever, there are a whole load of myths and legends surrounding the constellation to discover as well! All hail the thrills and spills of fun in the fresh alpine air! That’s right, the ski season is waking up and it’s time to don your skis, snowboard, sledge or snowshoes and get out in the powder. There are around 24 snow fields in New Zealand found both on the North and South Island (though most are on the South) that cater for beginner up to advanced abilities. As we’re just at the start of the season, some fields won’t be open yet so if snow sports are high on your bucket list, head straight to the cooler South Island. The Mt. Hutt ski field is often the first to open there and many fields have snow-making facilities, so if you find June is a little warmer that you’d hoped, the chances are there’ll still be somewhere to ski. And don’t worry about bringing suitcases full of gear with you, as there are lots of rental opportunities around the ski fields. Like to hike? Ever hiked on a glacier? Ever hiked on a glacier after arriving on a helicopter?! Well this unique experience is yours for the taking. 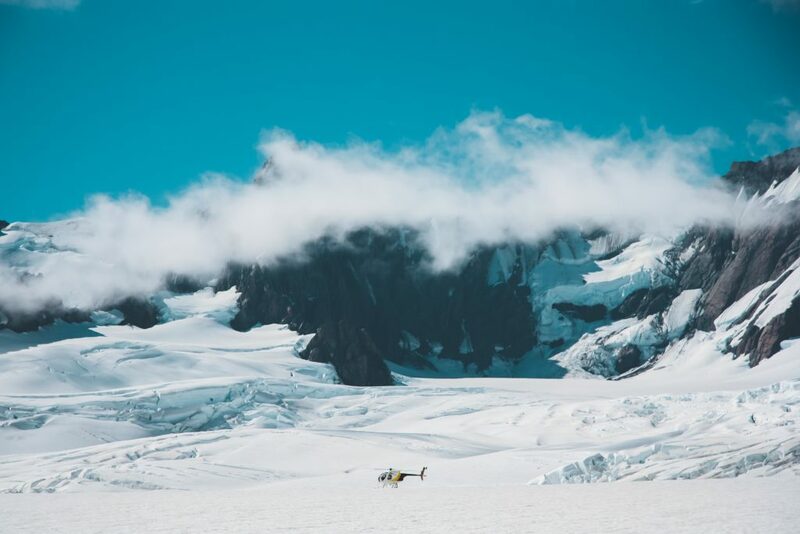 The Franz Josef Heli-Hike involves jumping in a helicopter in the centre of the town of Franz Josef and then taking an incredible trip up and over the awesome phenomenon of the Franz Josef Glacier. Once you’ve got the measure of landscape from a distance, it’s time to step out onto the top of the glacier and see some of its amazing features up close. Take a walk through ice caves, past pinnacles and crevices and marvel at the beautiful colours of the ice flows. Warm, waterproof clothing is provided and a once-in-a-lifetime experience is guaranteed. Just be aware that safety is paramount on the glacier, and trips are sometimes cancelled if the weather is bad. If your trip is cancelled, don’t worry, you’ll be offered free seats on the next available one. Cold weather brings lots of fun and beauty to a holiday in New Zealand, but sometimes it’s nice to warm up a bit. The good news is that New Zealand’s geothermal springs are a year-round natural attraction and ever so willing to warm those bones of yours. 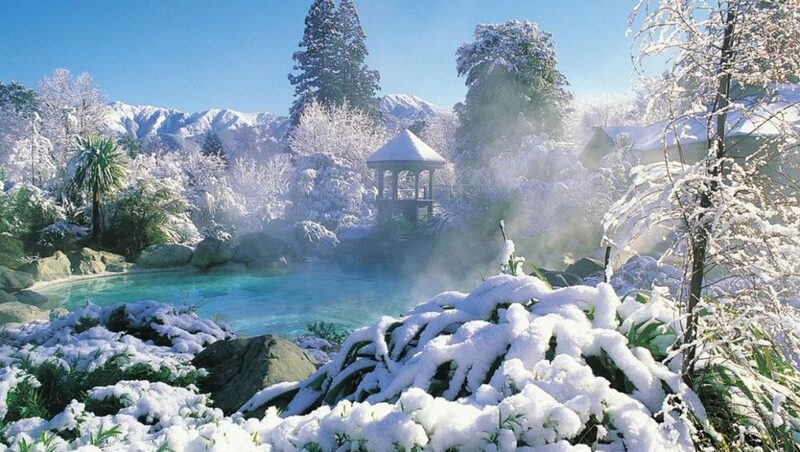 What could be better than relaxing in a hot spa and breathing the crisp, fresh winter air? Rotorua has a collection of natural hot springs along the edge of its lake, that have been famed since the early 19th century for their healing properties. And if that’s not enough, a short drive south brings you to Kerosene Creek which flows through natural bush-land, over a 2-meter waterfall, and into an inviting pool of warm water. Hanmer Springs is another option for some natural geothermal bone-warming and mountains and ski fields surround these lush turquoise waters! While you can’t quite ski down the slope and land straight into a soothing hot spa, the pools are only a short ride and a change of clothes away. We’re going to round off today’s article with some suggestions about what to pack for New Zealand in June. This isn’t a comprehensive packing list but rather some “don’t forget to bring’ items that we have picked up over many visits to our favourite country at this time of year. Jeans are a bit of a grey area when it comes to packing for New Zealand in June. On the one hand, they’re rugged and versatile; on the other they’re atrocious in the rain. If you’re the kind of person who feels naked without their jeans, then bring two pairs so you at least have a spare to wear while your others are drying. And bring thick denims rather than flimsy jeggings! New Zealand is a country that evolves with the turning of the seasons, which is partly why it’s such a varied and fascinating holiday destination. Even the changes between New Zealand in March and June are astonishing: March announces the dazzling colours of autumn, while June brings the snows and wonderlands of winter. It’s quiet, it’s beautiful and it’s action-packed – what’s not to like about New Zealand in June? As always, if you’d like any help or just a chat about New Zealand June tours, please drop us a line and our in house experts will be able to help. This entry was posted in Featured, Travel Tips. Bookmark the permalink.